“At the end of the provincial war age in 1615, Lord Hosokawa of Maizuru (then known as Tanabe), fought with troops from Toyotomi and eventually surrendered the castle to them by order of the Emperor. Later, Lord Makino governed over the Tanabe region, which flourished until the end of the Edo Era. In 1869, Tanabe was officially changed to Maizuru, and was incorporated into Kyoto Prefecture in 1876. In 1901, the Maizuru Naval Base was founded in Higashi-maizuru, and Admiral Heihachiro Togo was appointed as the first commander. 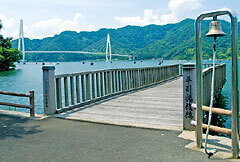 After World War II Maizuru became a major port for repatriating soldiers and civilians. In 1943, East and West Maizuru, then separated, formed one unified city and became a prominent city of the Kinki region. 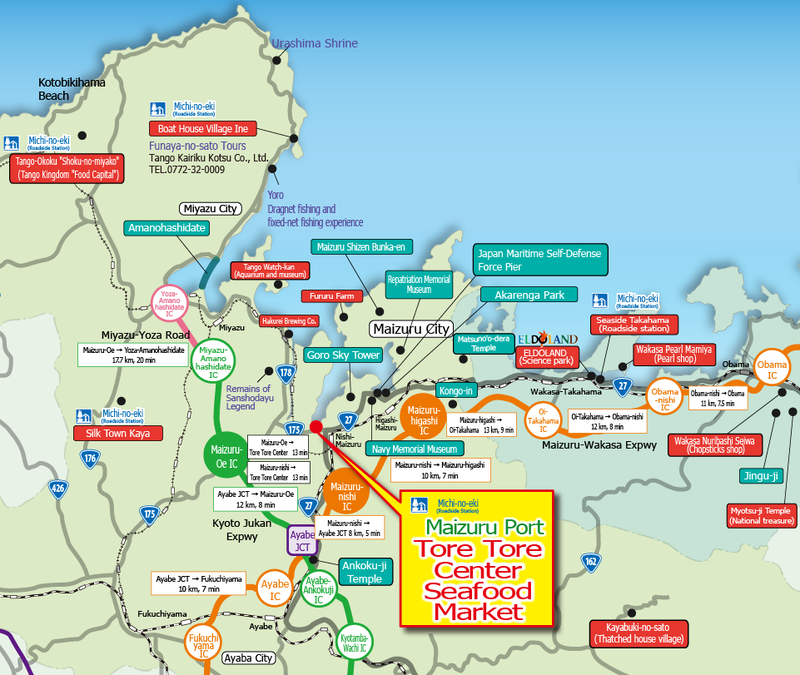 Maizuru continues to grow as an international hub. The port of Maizuru has been functioning as a major port since the Meiji period, and also supplies a variety of seafood throughout the year. The saw-toothed coast of Maizuru creates and offers diverse scenery during each season. 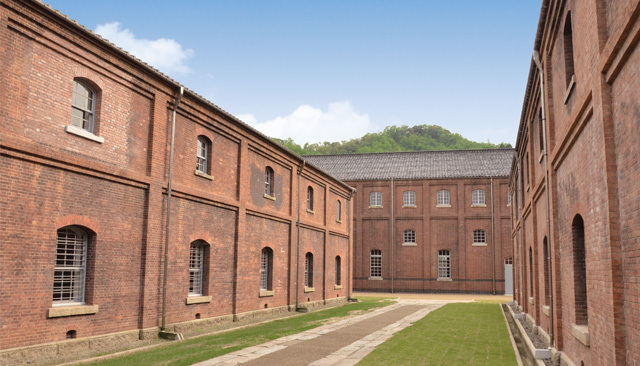 Visitors are impressed with castle town Tanabe, the nostalgic feel of the redbrick warehouses, and the beautiful nature. 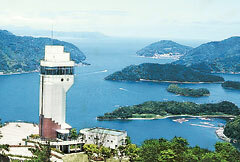 Maizuru is one of the top sightseeing areas in the Kinki region. These redbrick warehouses were built between 1900 and 1921. The sidewalk, which was restored to its former state by local volunteer groups, is now called Red Brick Road. 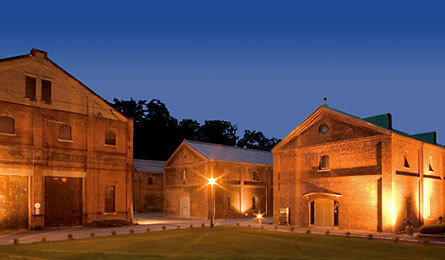 Even after 100 years, Maizuru still retains its heritage which is seen in every aspect of the city. 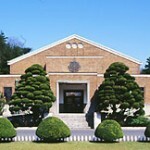 This “cultural treasure exhibition” space is reminiscent of the Meji Period. A merging of the sky and sea’s blues, and green land. Gain new insights of Wasaka Bay National Park from various angles. Enjoy the scenery from a pleasure boat, romantic bridge view, and more. Maizuru Crane Bridge is one of the largest cable-stayed bridges on this side of Japan, and is reminiscent of two cranes flying down to the sea. 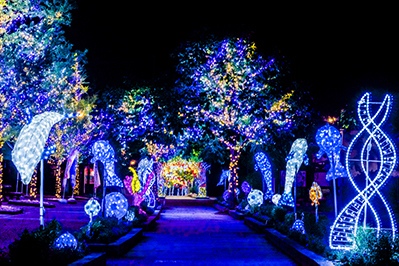 The turn of the twentieth century ushered in Maizuru’s new era, coinciding with the nation’s modernization. This used to be the auditorium of the Naval Engineering School, which was built in 1933. A Maizuru must-see, this pier holds powerful JMSDF vessels. 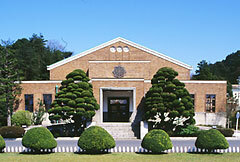 Repatriation Memorial Museum has “Return to Maizuru,” which is added to UNESCO’s Memory of the World Registry. Maizuru used to be a city of repatriation, which was made famous by the song “Ganpeki no Haha” (A Mother at the Pier”). More than 660,000 people and the remains of 16,000 were repatriated to Maizuru after World War II. The pier’s restoration (1994) stands as a memorial for their repatriation. 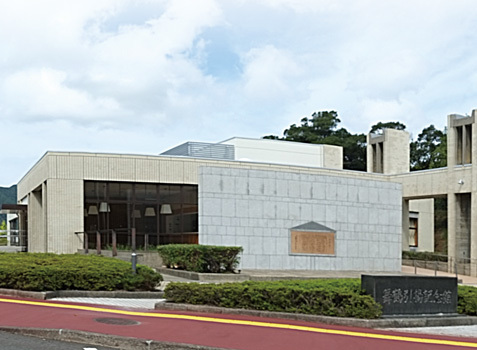 Maizuru Repatriation Memorial Museum contains over 540 records and items of internees from Siberia including “Shirakaba Nisshi”(Birch Diary) written on birch bark, containing 200 poems, and a memo pad which was hidden inside a pair of shoes and successfully brought back to Japan. All of these were registered with UNESCO as a “Memory of the World” in 2015. It is a truly moving exhibit. In order to convey the history of a memorial for their repatriation, we have exhibited a lot of material. In 1600, 15,000 of Ishida Mitsunari’s troops, allied with Toyotomi, attacked Tanabe-jo castle while Hosokawa Tadaoki, the lord of the castle, was preoccupied with a battle in another city. His father Yusai, a retired lord, struggled to fight against Mitsunari’s advances with a mere 500 soldiers. How do you think he fared in this disadvantageous position? 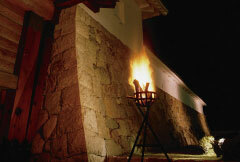 Experience the dramatic histories of the castle town Tanabe. The three-storied pagota is a national Important Cultural Property. The temple is particularly stunning amongst fall leaves and winter snowscapes. This family-oriented farm is abundant with nature. Visit this seaside park where you can watch a planetarium show from within a renovated, docked ship. This authentic fishing port and canal retain a traditional atmosphere. Ine Bay boasts a shoreline of “Funaya,” or “boat houses.” This picturesque scene is unique to all of Japan and the antiquated homes, which also serve as a place to moor fisherman’s boats, are a historic preservation site. One of the three most scenic places of Japan. a seaside road commanding unparalled views of The Sea of Japan. This is a home of history, legend and ancient romance. Learn about the meritorious life of Akechi Mitsuhide as well as the history and culture of the era. One of the largest michi-no-eki in the western part of Japan. Relish local seafood and vegetable specilaties at markets and restaurants. Enjoy a boat tour through Ine Bay! See the antiquated boat houses and lush landscapes, all while umineko (black-tailed gull) fly overhead. The legend of Urashima and lure of Ine are waiting for you. Family fun in the great outdoors! Oeyama is said to be the real-life setting of the legend “Shuten-doji,” which is about the conquest of a mythical oni (Japanese demon). A shrine related to the oldest legend of Urashima.